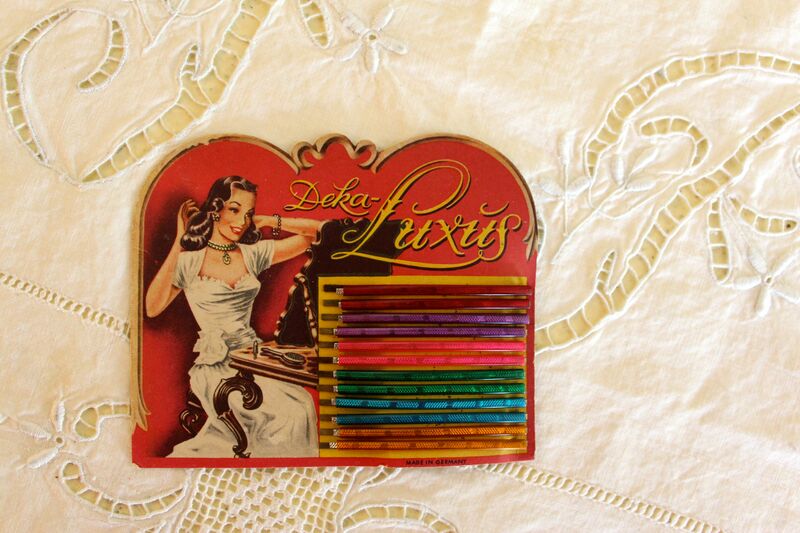 After seeing a sweet little vintage card of hair pins in a roundup post of fun Etsy finds on the Swing Fashionista blog, I fell in love. I tried not to buy it. Really I did. I think you can see why I couldn’t resist it. The image on the card is gorgeous 1940s goodness. Now it lives on the dressing table-like area of my bathroom, with a couple of other vintage goodies. 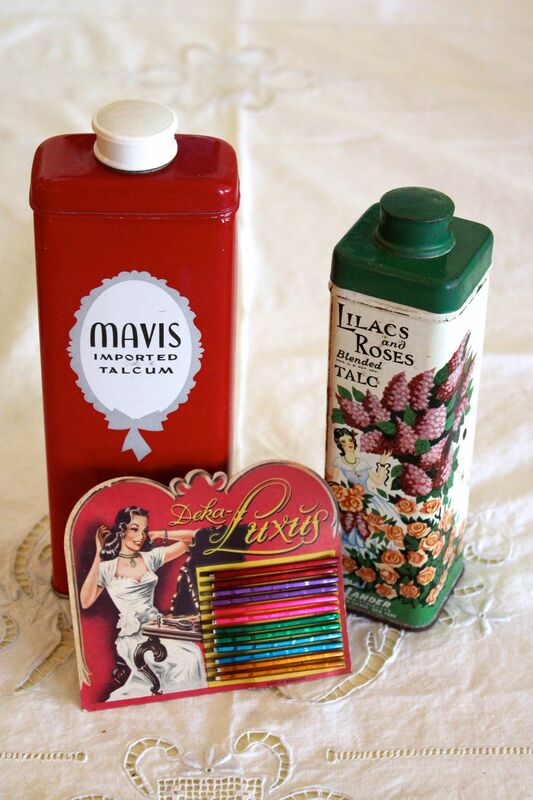 Apparently, I now have a collection of vintage dressing table items. The talc container on the left is empty. The one on the right is full but sealed shut by rust. The hair pins have some rust, so I consider everything you see here purely decorative. I got the card from the Covetable Curiosities shop on Etsy. Mine was listed as “1 available,” but the store has another one up for sale, also listed as “1 available.” With a quick Google search, a few more show up on eBay as ended or current. It doesn’t seem to be terribly rare, but it is awfully pretty. I love how excited she is about the hairpins!